The Butternut Commons Green Improvement Fund project is located at the corner of Butternut and North Townsend Street. The project includes the redevelopment of the corner lot at Butternut and Townsend with construction of two new buildings that contain retail stores on the lower level and a total of 24 apartments on the upper level. 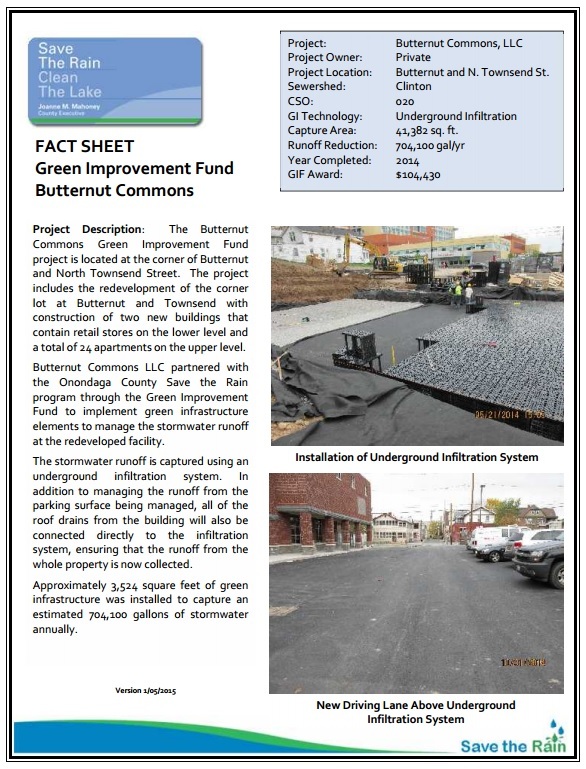 Butternut Commons LLC partnered with the Onondaga County Save the Rain through the Green Improvement Fund to implement green infrastructure elements to manage the stormwater runoff at the redeveloped facility. The stormwater runoff is managed through an underground infiltration system. 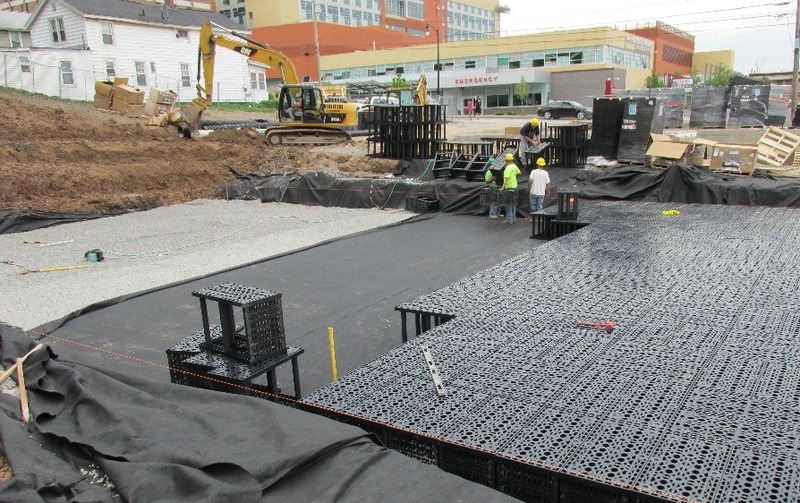 In addition to the runoff from the parking surface being managed, all of the roof drains from the building will also be connected directly to the infiltration system, ensuring that the runoff from the whole property will be managed. Approximately 3,524 square feet of green infrastructure was installed to capture an estimated 704,100 gallons of stormwater annually. Next Project: GIF – JC Smith, Inc.